Not low carb, but not for me ! 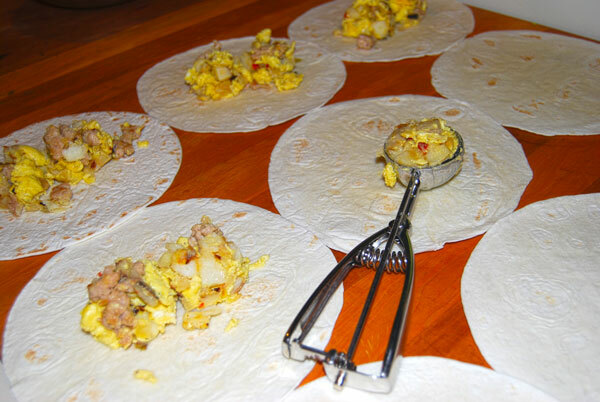 Every few weeks I make breakfast burritos which makes school mornings MUCH easier. My 12 year old can just pop these straight from the freezer into the microwave, slice up an apple and have a pretty darned good breakfast that will tide her over to lunchtime at school. Cook the sausage, remove to large bowl. Cook the eggs, remove to bowl. Brown the potatoes until outsides are nice and crispy, remove to bowl. Mix well. Taste the mixture and add salt/pepper if needed. 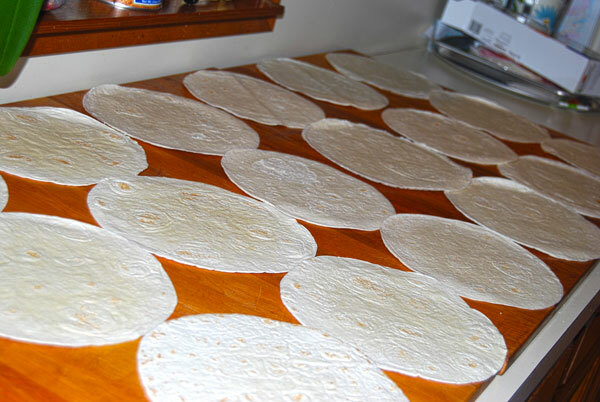 Layout tortilla shells. 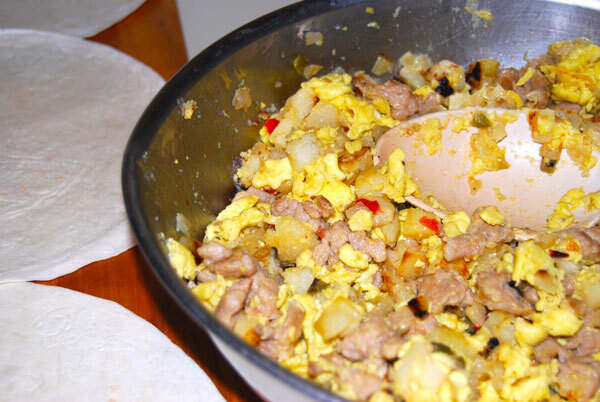 I used a cookie dough scooper, and placed two level scoops of the egg mixture on each tortilla. 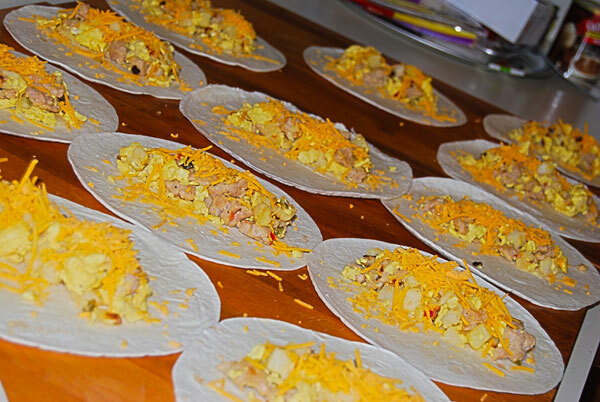 Sprinkle grated cheddar cheese ontop of the egg mixture, and roll up into burritos. 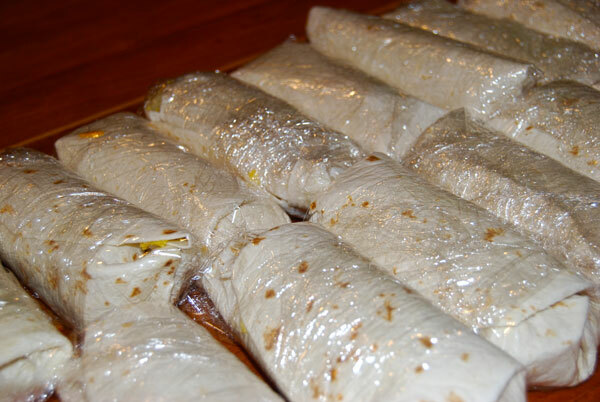 Individually wrap each burrito in plastic wrap, and pop into the freezer. When a quick and easy breakfast is needed heat in microwave on high for 1-2 minutes. For crusty outside, you can spray some oil into a non-stick pan and brown up the outside a little on med-high heat if desired. So great! Ill be trying this!